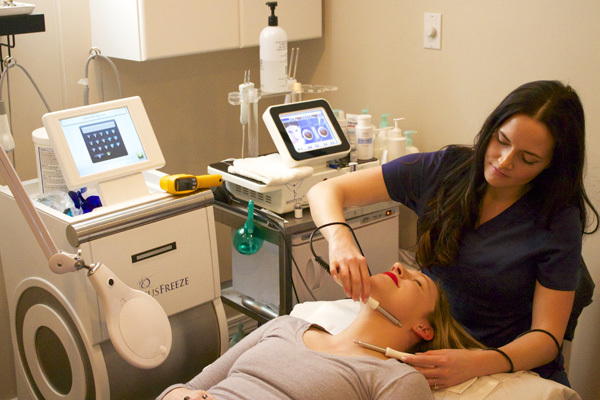 New to Liebman Wellness Center- Venus Viva Facial Resurfacing. Venus Viva is the latest non-invasive technology for Facial Resurfacing utilizing Radio frequency and Advance Micro Needling technology that produces amazing results regaining more youthful skin. This technology has been shown effective for : Fine Lines and Wrinkles, Stretch marks on the face and body, Discoloration of skin, and Facial Scars. We have more than five years of experience in the new and developing field of non-invasive cosmetic enhancements. All of our treatment packages are overseen by our in-house medical director to ensure that our treatments are tailored precisely to our patients' needs. Our non-invasive procedures allow you to undergo cosmetic treatment without anyone even knowing. All that your friends and relatives will notice is your glowing, youthful appearance and slimmer curves. If you want to see the dramatic difference that our non-invasive treatments can make for your face and figure, please call (856) 872-2003 or contact LipoLaser of South Jersey today to schedule your consultation with a member of our experienced staff. We serve patients in Cherry Hill, Marlton, Mt. Laurel and throughout South Jersey. Lipolaser of South Jersey was founded in 2011 with the goal of providing a safe, non-invasive options for body contouring, fat and inch loss, cellulite reduction, and skin tightening for the body and face without the risks and pain of surgery. Located in Marlton, NJ in Evesham Township, we are also easily accessible for our Cherry Hill, Mount Laurel, and Medford patients. We offer private and comfortable treatment areas. What really sets us apart is that we are the only facility in NJ that combines several technologies in the same treatment to provide superior results. We have tried basically every type of therapy invented in the industry in the past five years and have narrowed down our protocols through trials and now we routinely exceed our clients’ expectations. Through our extensive experience in what works best, we have even had our own custom equipment developed and manufactured that is not available elsewhere. We initially started with Lipolaser technology after it was FDA approved in 2010. These new high tech lasers emit light energy which is absorbed by the fat cell and causes shrinking of the fat cell, thus reducing the size of the body part. We then discovered that using ultrasound energy can actually penetrate to the deeper layers of fat layers, creating more significant changes in fat loss. By combining Lipolaser and Ultrasonic Cavitation (sound energy) in the same 50 minute treatment, we routinely not only meet our clients’ expectations, but exceed them! The newest tool in our arsenal that is also FDA approved is the Venus Legacy. Radiofrequency energy, a form of deep heat causes collagen to contract and shrink, causing skin tightening and reduction of fat. Our Natural Face Lift program combines Microcurrent Energy and Radiofrequency Energy (Venus Legacy), to literally take 10 years off a client’s face without Botox, Fillers, or painful surgery. 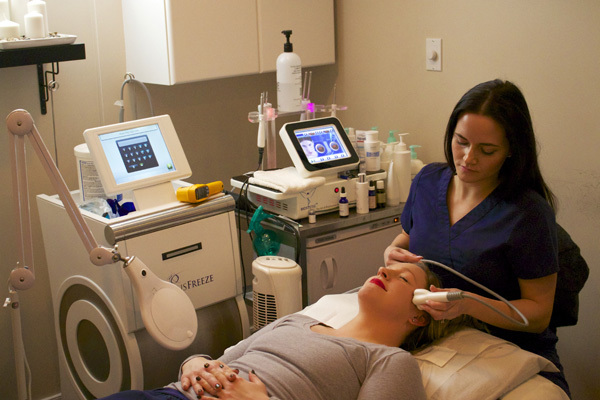 The best part of our Body Contouring and Natural Face Lift program is there is absolutely no down time! Clients relax with these painless procedures while losing fat and looking younger! Dr Jesse Liebman, D.C. and Dr. Bryan Levey, M.D. Dr. Liebman's interest in non-invasive body contouring and facial rejuvenation came as a natural extension of our Wellness Center Model. His goal was to create a facility where South Jersey residents could come and not only feel better, but look better. Lipolaser of South Jersey was created as an offshoot of Liebman Wellness Center with the central theme of non-invasive, safe, pain free procedures to reduce body fat and look 10 years younger with our Natural Face Lift program.